With Spring looking like it has arrived early this year in the UK, maybe it’s time for you to start foraging for wild foods and/or medicine? Britain is packed full of early Spring plants that can be eaten raw or with minimal preparation to maximise your intake of nutritious plant vitamins, minerals and phytoconstituents. You don’t usually have to look far to find them, even in the city. Although finding plants to forage that are clean, unpolluted and safe to eat usually involves escaping the city a little. Why should you eat wild plants? Well wild plants seed themselves through the process of nature, using very little if any human intervention. Wild plants are said to contain much higher amounts of vitamins, minerals and medicinal compounds than conventionally grown food (usually sprayed with chemicals). I believe that regular consumption of wild plants is good for the heart as searching for them helps you connect more with nature and gets you out of the house. It is also fun! The leaf buds are currently opening and make a wonderful juicy, leafy snack. Pick and eat on the spot or bring home for use as a salad. We have a window of about 4-5 weeks whilst all the buds open to reveal the light green leaves before they start to go darker and become more bitter and inedible. Difficult to mistake with anything poisonous. Look out for the familiar 5 finger leaf shape. Used in herbal medicine to lower blood pressure, help with anxiety and improve mood. I find the leaf particularly helpful for hot flushes in peri-menopausal women. Cleavers have started to appear already in my local park and are easily identified by their thin, long stalk with the 6 leaves spreading out every few centimetres. The tiny white flowers come out over summer and the seeds in late summer, early autumn. This plant is super juicy and can be eaten raw or put through a blender or juicer. It is a popular remedy for lymphatic drainage. I have used it successfully in helping patient’s with Hepatitis who have painful raised Lymph nodes. A simple tea of this Spring plant, consumed for a few days, cleared Lymph nodes after many years of pain and soreness under the ears. You might remember this plant as a child due to it being thrown at people and watching its hooks sink into clothing. Many British school-children have played with this plant. Nettles are highly prized for their medicinal qualities. Especially for seasonal allergies, arthritis and anaemia. But did you know they can be eaten raw? If you approach the leaf from underneath and move your fingers up and in, closing the leaf above with a pincer grip then you can usually close the top of the leaf and fold it up without getting stung. Then place the parcel into the back of your mouth and chew. Or otherwise add to a smoothie or put through a blender. My hayfever improved significantly when i started adding nettles to my diet. The beloved Dandelion. Hated as a weed. Loved as a foraged food and medicine. The Spring leaves make a tasty snack when used like Lettuce. Remember that it won’t stay tasty forever. As the year progresses, the leaves become darker and bitter. The root can be eaten too, but this is often roasted. Roasted Dandelion root makes the perfect coffee alternative. Delicious! Used in herbal medicine as a diuretic for fluid retention and disorders of the kidney. This is a very abundant plant (Not to be confused with the Carribean fruit). Often viewed as a weed when found in your back garden. 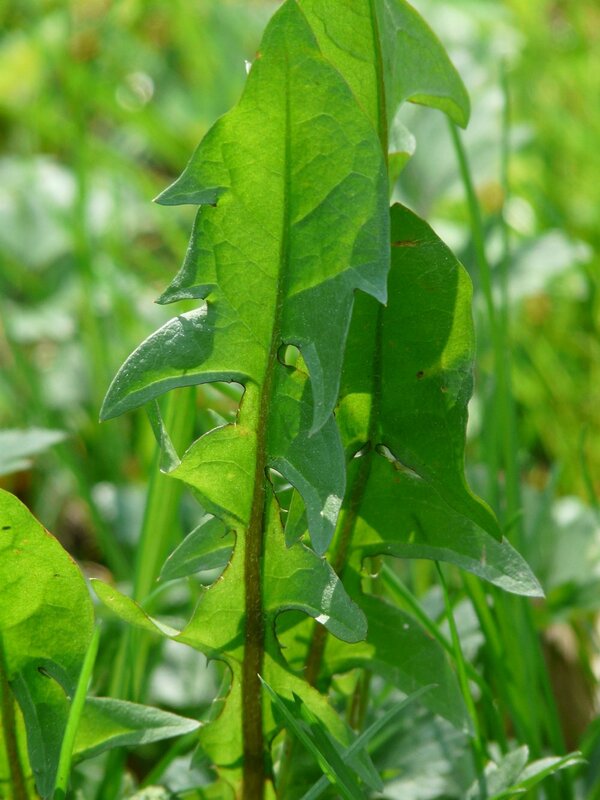 The leaves can be eaten in salads. Used in herbal medicine as a wound healing herb for cuts, bites, stings or itchy skin. I use this plant a lot in cases of inflammatory bowel disorders like Crohn’s and Ulcerative Colitis. It also often used in respiratory disorders with an excessive, dry cough. Always look for plants away from the road and remember that animal faeces or urine could possibly be on your foraged plants. Wash in clean water if you are concerned. Always forage on private land with the owners permission and use a guidebook if you are worried about picking the wrong plants. All of the mentioned foods/medicines above are found abundantly throughout the UK and are in excess supply. You will not harm an ecosystem by consuming these plants (provided you don’t pick all the leaves or remove all the plants in an area). I will be announcing herb walks for Spring soon. So watch out for the planned events!